Tilos Livadia Port. The main town (Megalo Horio), is 8 kilometers northwest of the port. Do you want to be adventuresome? Do you want to be left alone? Would you like to discover a Greek island without hordes of tourists tramping about? Most importantly, would you like to see an island with rugged natural beauty and a pristine environment, the way nature intended? If you can answer yes to three out of four of the above questions, then Tilos is your island! 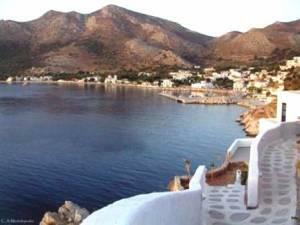 Tilos is a small Dodecanese Island situated northwest of Rhodes, southwest of Simi, and southeast of Nissiros. 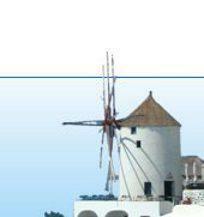 The easiest way to reach it is by a flight to Rhodes, then by ferry to Tilos. This is not an island for everyone, but it is a destination for people looking for peace and quiet, rugged beauty, beautiful sea views, excellent walks, and a simple lifestyle. The island’s population is very small, about 100 or so persons during the winter, and not more than 500 or so during the summer; and the island itself is only 63 square kilometers in size, with about 65 kilometers of irregular coastline. You will not find a lot of frills by way of accommodation, restaurants, lively bars, and smart shops. On the contrary, this island is just about as laidback as you can get. Everything about this accommodation is location. Apollo offers good, basic accommodation with self-catering facilities and a 50-meter walk to the beach or the port. Its convenience to the port is perfect for access to restaurants and shops.